Kleefeld on Comics: On -isms: Same As It Ever Was? 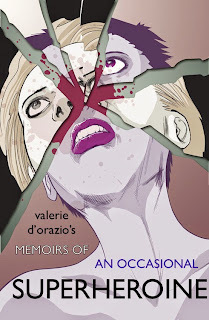 Way back in 2009, I reviewed Valerie D'Orazio's then-new book: Memoirs Of An Occasional Superheroine. She was selling it as an e-book, and it told her story up until a couple years prior to the book's original publication. Today, after more or less letting the book languish, she put it back out into the ether with a brand new Kevin Colden cover. And she's giving it away for free. So what? Dozens of comics and comic-related books come out ever week; why should you pay attention to this one, even if it's free? And in the years since I wrote the memoir, I tried to stay on the positive side about Women in Comics. That perhaps things would—and was—only going to get better. But it has not gotten better. My news/Twitter/Facebook/Tumblr feed is regularly stocked with stories about how it is not getting better... women are still woefully under-represented in “mainstream” comics, and stories of sexual harassment of females at publishers, by creators, at conventions, and so on continue and continue and continue. The book is not about sexism. 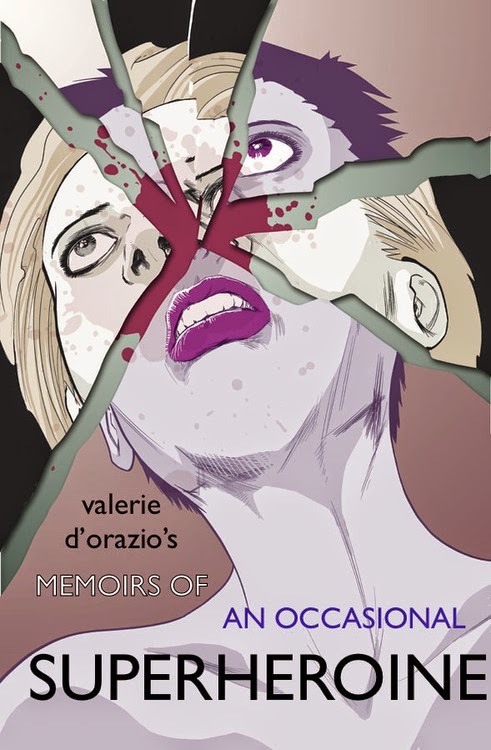 It's a memoir in the truest sense of the word, so it's D'Orazio talking about her experiences growing up and entering the comic industry, and how she felt about it. BUT, she's still a woman in the comic industry, and she's had more than her share of sexual harassment and discrimination, particularly in the DC Comics offices. While it focuses on one publisher in particular, it should be kept in mind that this book was written five years ago about situations taking place more than ten years ago. That said, issues like the ones described in this book are still going on... in many places. That has been the main motivation in putting this back up. In addition to the many articles I’ve read on this topic since 2009, I’ve had countless women and men tell me stories in private about sexism, sexual harassment and under-representation of females in this industry. It is beyond any level of acceptable. Sure, you hear these individual anecdotes about that one particularly lude jackass at a convention, or maybe an unconfirmed instance where a perfectly talent female artist was passed over because her style wasn't butch enough, or whatever. But what Memoirs shows (among many other things) is the persistent, nearly perpetual, sexism in the industry as a whole. From retailers to publishers to creators. The book showcases just how completely endemic the problem is, which goes a way to explaining why it's not something that's been solved yet, despite the greater spotlight it's been given lately by various comics media outlets. D'Orazio doesn't provide any clear answers on the issue. It's not the point of the book, and I doubt there are any simple solutions anyway. (Well, practical solutions. It's seemingly obvious enough to say, "Well, just have everyone treat everyone else with basic human dignity and respect," but that's not exactly something you can act on very readily.) But I think that highlighting the problems as D'Orazio does in her book can at least expose some of the problems that need to be addressed and why. It's essentially the same reason I started this weekly "On -isms" column here: by making it a regular part of everybody's general discourse, it raises awareness at a long-term level. And that raised awareness can make people give another thought about how/why they might be part of the problem instead of part of the solution. Go read D'Orazio's post and then download her book from there.